Nextion LCD supports various Controls. A description of the controls required is described in # 1 and # 2. 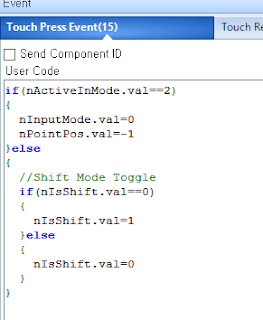 This document explains how to use the other controls and the actual application through some examples. The examples are necessary for the HF-Transceiver, but anyone can test it because they can test their behavior without a transceiver. Download the S-Meter file from the link below. You will see the below picture. 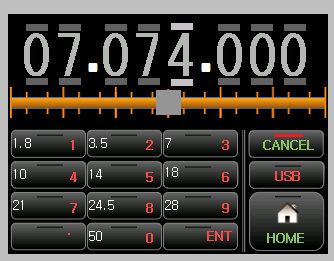 this is example for Nextion LCD, However, this may be possible for many applications. 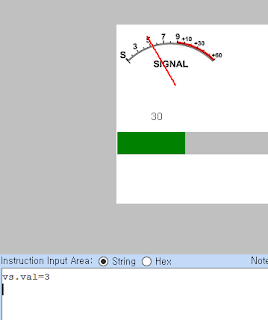 I have implemented code that makes S.Meter behave smoothly. 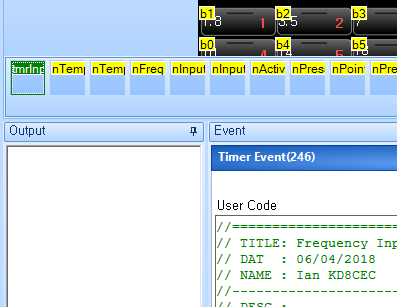 Most of my code is in Timer's Event. Red is the comment that I add to the source code. 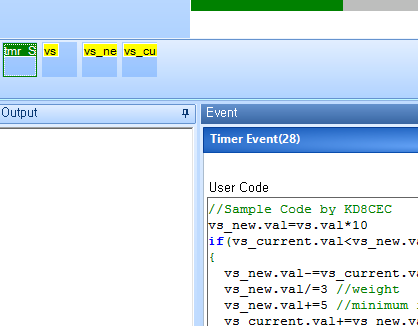 vs_new.val=vs.val*10 <-- Nextion LCD is used as a variable using 'Variable' Control. Nextion LCD provides default variables for sys0, sys1, and sys2. NOTICE: Do not enter spaces in your code. if(vs_current.val<vs_new.val) <-- Most are the same as C code. Above is a simple code. It is very similar to C language. The difference is that variable declarations and spaces should not be in your code. Note: that operations must be performed only once on a line. Think of it as a simple scripting language. But it is powerful. 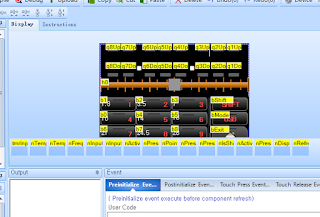 You can tweak the source code slightly to adjust the speed up and down. Let me put up a little more. This time, we will reverse the value. You can see it slowly go down like an analog meter. 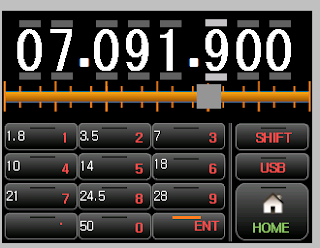 I did not use the Nextion LCD for a long time, I wrote the code referring to the manual on the link below. 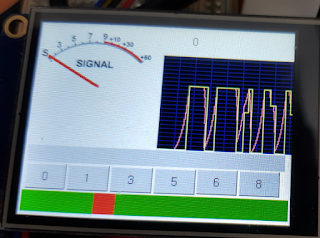 So I'm not sure that the Nextion LCD developer has done what it suggests, But with the simple code above, Nextion LCD did exactly what I wanted. Now I have written some complicated code. You do not have to understand this. This is just a script. Below is a test video for this post. 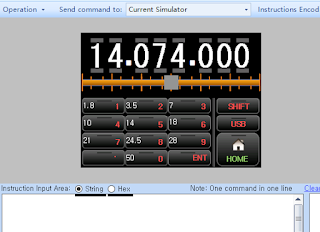 Download the S-Meter2 file from the link below. Did you get used to the S-Meter above? 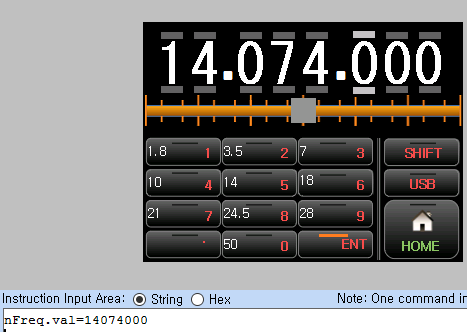 Maybe I can use it when I create a GUI for HF Transceiver. 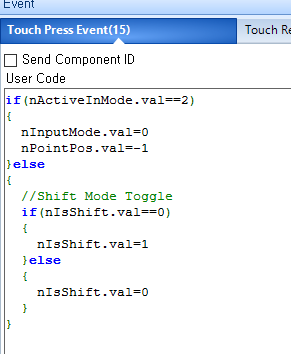 Since most of the code is the same, only the revision history will be listed below. Please watch the video below for changes. Download the Keypad file from the link below. This can also be tested without any additional equipment. 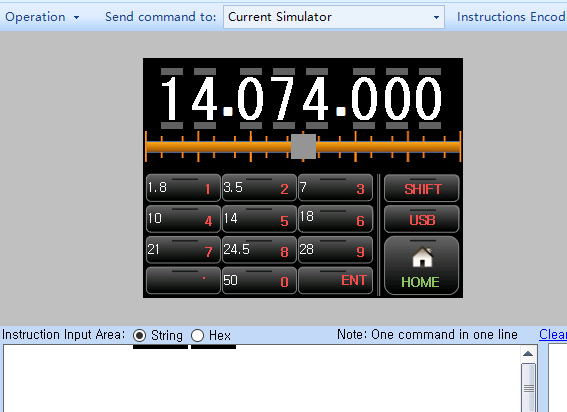 This is a program that uses the touch panel of the LCD to input numbers. About 70% of the code in this program is in the timer event. This part is used to cut the frequency string one by one. 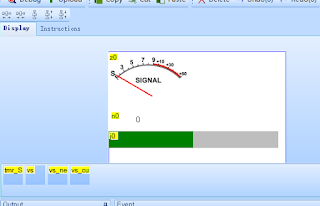 This is an example of the button behaving differently depending on the current state. 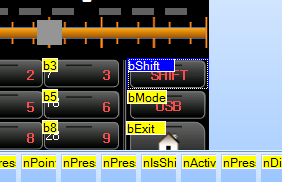 When the Shift Button is pressed, nIsShift.val is filled with a value of 0 or 1. 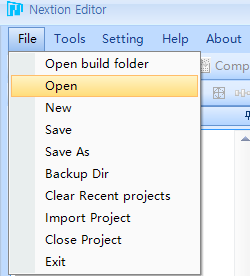 Click the number button ('b1' control) this time. 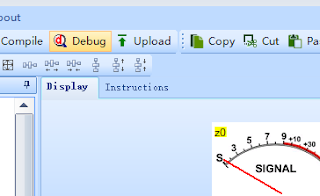 Finally, click the Slider control. 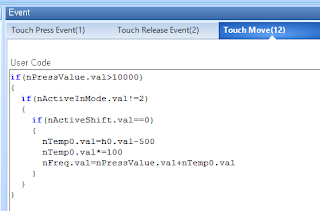 The following three pictures are Slider control events. 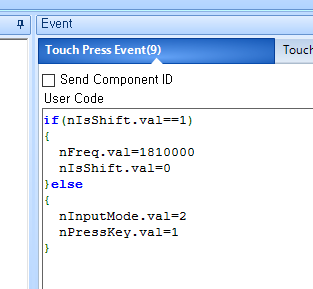 This is the action when touching the slide control. This is the action when the slider control is moved to the left or right. It will be displayed on the screen as shown below. Press 7 on the Key Pad. 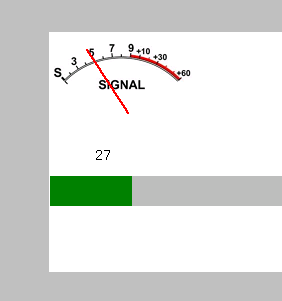 Frequency Indicates that the color has been switched to the current frequency input state as Gray. 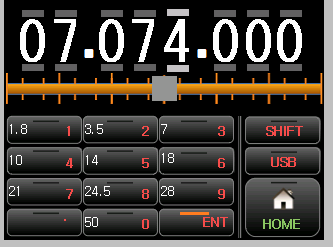 Maybe '7' would have moved to Mhz. This is a way to quickly enter frequencies. Then type '0', '7', '4' in order. It will appear as shown below. When you want to confirm this, press the 'ENT' button. 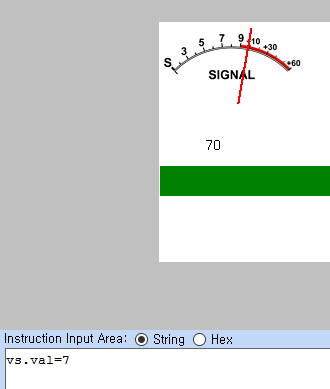 The frequency have changed to white as shown below. 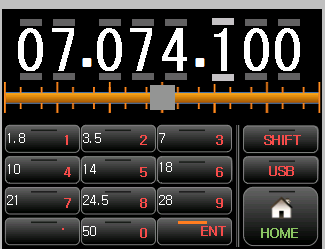 This means the current frequency has been changed to 7.074.000 Mhz. 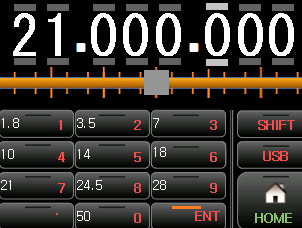 This time, I will raise the 100Hz unit directly. Touch the top of the 100Hz position. 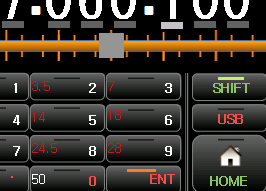 You can adjust the frequency directly as above. Yes, that's right. 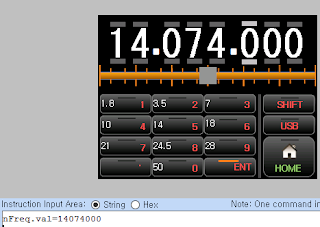 I imitated the cool program Ham Radio Deluxe. Move the slider below to the left or right. Does the frequency change drastically? This is what I intended. By using these two you can easily set the frequency you want. Did you notice it again? Yes. This also brought the motif from Ham radio deluxe. The color of the Shift Button has changed and the color of the Keypad has changed. Please press '21' in this state. Has the frequency changed to 21Mhz? I am thinking about replacing this part with the center frequency of the Ham Band. 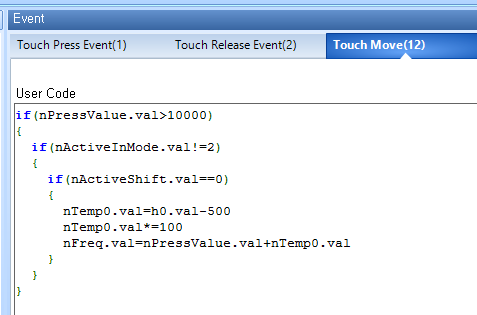 You can modify the button event to get the action you want. 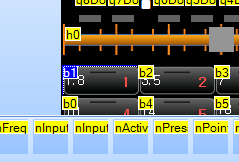 Let's enter the frequency in the command window. 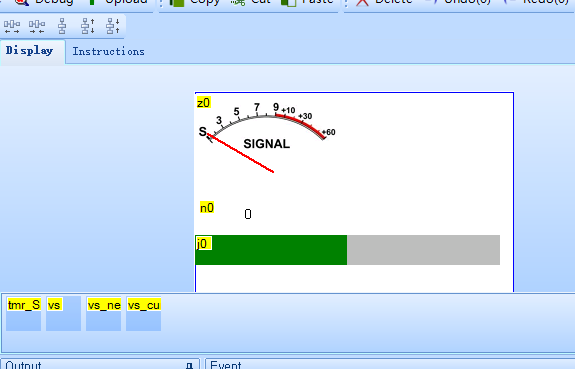 You can see that the frequency changes immediately. I will finish the article on Nextion LCD. Thank you for reading the long article. Great job and clear explanation, thanks! Excellent and hard work Ian, congratulations and thank you for share it with us ! I made also some app for Nextion and transceivers,this is a great display and work with him for 2 years now; but I'm not a programmer and on complex stuff I am stuck..
for example, I made an external CAT control for my Icom 7000, but I cannot extract useful part from CAT to display frequency on Nextion, especially because all data it is on a single wire not on two, like on Yaesu for example; can you help me a little with that when you have a little time? Thank you in advance, my best 73 !